With the silly season fast approaching, it’s time to start planning how you pay for Christmas. From gifts to food, the tab can add up quickly. If this year is anything like last Christmas, on average we’ll each spend an extra $1,079 over the December/New Year period, and that’s on top of regular expenses. That makes now the time to draw up a Christmas budget. In addition to working out how much you’ll spend, give some thought to how you’ll pay for all those festive season purchases. Cash is always the cheapest option, however there is still time to lay-by big ticket items and avoid unwanted interest charges. If you have to put purchases on a credit card, think carefully about whether you’ll be able to pay off the items in full when your next statement arrives. Last December Australians collectively racked up $27 billion in card purchases, and any lingering debt can attract interest rates as high as 21%. If your credit card is already sagging under the weight of previous purchases, it could be worth switching to a cheaper card. At the moment, according to one of the comparison sites, the average credit card rate is a whopping 7.43%. Yet there is a selection of cards charging rates below 10%, so it’s possible to almost halve your interest charges by shifting to a less expensive card. Balance transfer deals, where you pay zero interest for a set period, can provide breathing space to get ahead with card debt though there can be strings attached. With a wide selection of balance transfer deals available, the zero interest “honeymoon period” can last anywhere from six months to 15 months. The thing to watch for is the revert rate. This is the rate that will apply to any remaining debt once the interest-free period expires, and in some cases it can be up to 19.99%. 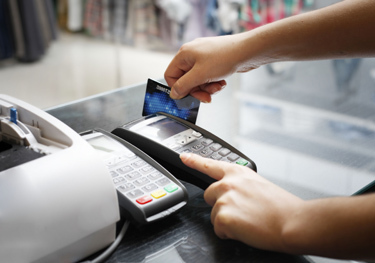 Along with sensible spending, do be mindful of card security when you are out shopping or celebrating. Commonwealth Bank figures show as many as one million credit cards may be lost or stolen over the festive season. If this happens to you, contact your card issuer immediately and take a good look at your card statements for any unfamiliar transactions. The card issuer will generally refund fraudulent purchases if they are reported promptly but it can take time and it’s a hassle none of us need over the busy holiday period.